Home » Bollywood News » Will Singh is Bliing garner good ratings on its TV premiere? 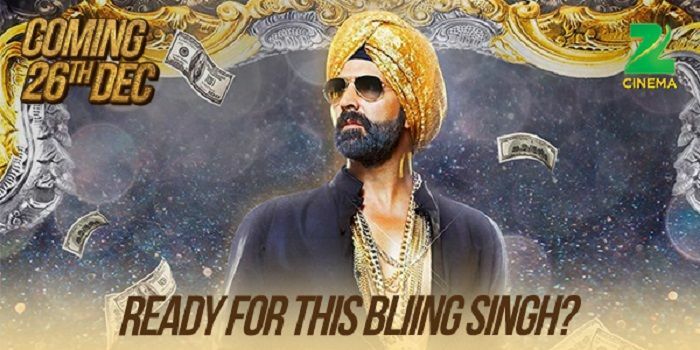 Will @AkshayKumar create magic on small screen with #SinghIsBliing? Akshay Kumar's comedy films have a history of recording good television ratings. Be it Entertainment or Khiladi 786, Akshay Kumar films have often got viewership on television. His comedies like Heyy Baby, Welcome, Singh Is King are aired frequently on television which gives an idea about the kind of viewership the films have been garnering on TV. There have been comedies like One Two Three, Sandwich, Bin Bulaye Baarati which did not do well at the theatres, but enjoyed good ratings on Television. Even though Akshay Kumar's Singh Is Bliing fared reasonably well at the Box-Office, the collections were below the expectations. As the film is all set to premiere at Zee Cinema on 26 December 2015, it would be interesting to see if the film manages to achieve good viewership just like other Akshay Kumar comedies. Television is one of the best markets for comedy films as audiences in general prefer to laugh watching a no-brainer film on the TV set as against the serious brand of cinema which would make them think on a lazy holiday. TWEET THIS . @AkshayKumar's #SinghIsBliing World TV Premiere this Christmas Will @AkshayKumar create magic on small screen with #SinghIsBliing?